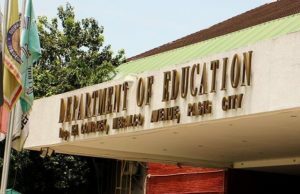 The Department of Education spearheaded the Brigada Eskwela activity on Monday even as it admitted that the public school system is still far from ideal, a report on Balitanghali said. There is still a backlog of classrooms and teachers especially with the addition of Grade 12 in the coming school year, GMA News’ Mark Salazar reported. 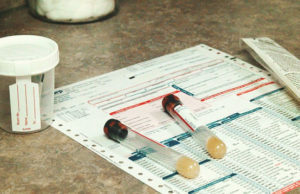 An additional 20,000 classrooms are needed for the senior high school program, the report said. However, DepEd Usec. Jesus Mateo told Unang Balita on Monday that there are enough classrooms for the K to 12 program for schoolyear 2017-2018 since preparation for classrooms and other facilities started way back in 2014 or 2015. The DepEd got the biggest slice in the 2017 national budget, with P543 billion, 25 percent higher than its budget in 2016. Of this amount, P35 billion has been allotted for the voucher program, a subsidy for students from public schools who will enroll for senior high school in private schools. 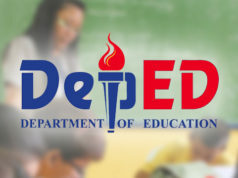 The DepEd said it can afford to hire an additional 53,000 teachers and 13,000 non-teaching staff. However, they have to abide by procurement law so the additional 20,000 classrooms could not immediately be constructed for the senior high school program. 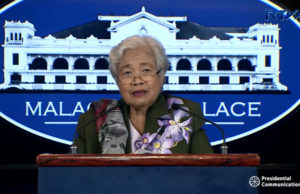 The DepEd said they’re going slowly but surely in their plans with the support of the national government in terms of budget. They just need some more time to reach the teacher-student ratio of 1:32 in all public schools all over the country. 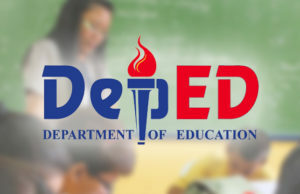 The DepEd’s target by 2018 is to have at least 43,000 additional classrooms built. The Brigada Eskwela program is a weeklong activity wherein teachers, students, parents, and other interested parties join hands in preparing classrooms and school buildings for the coming schoolyear. The program was launched in the National Capital Region at the Kapitbahayan Elementary School in Navotas City early Monday.